Many of the sounds heard around the house on a daily basis come from electrical appliances. Most of them were invented in the second half of the 19th century and took over the marketplace between the 1920s and 1940s. The conversion of manufacturing to the American war industry made it possible to make these products and to sell them massively at an affordable price. Kitchen stoves replaced wood and coal stoves to cook food. 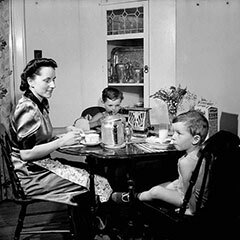 While they were multi-purpose, and were used as heating systems for the home and to warm water, the stovetop range is reserved for meals. The invention of water heaters and electric heating devices at this same time completed the change of habits in this regard. Québec homemakers were also presented with an array of kitchen tools: toaster, coffeemaker, kettle, and slow-cooker. Electric refrigerators appeared around the 1930s and became accessible in the decades that followed. 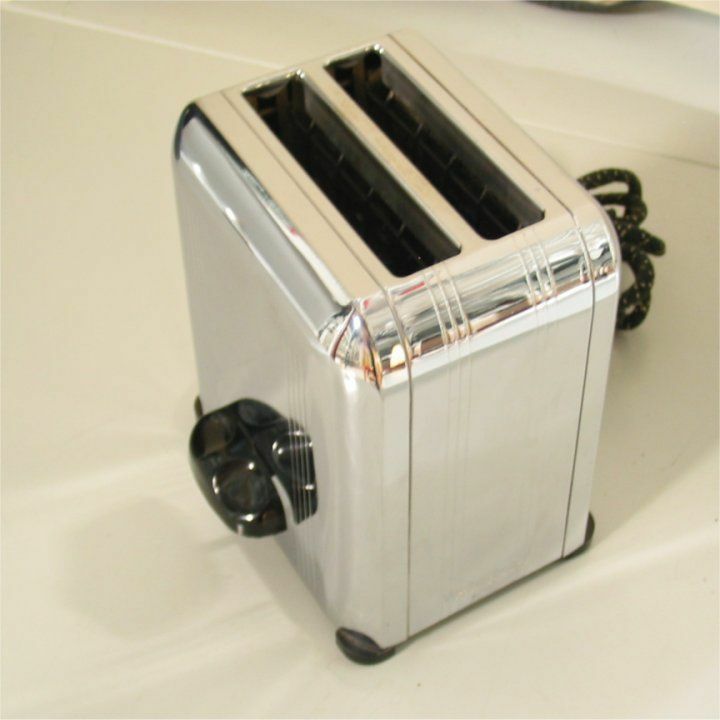 In fact, while the selection of appliances to perform domestic chores became diversified in the interwar period, these first appliances were mainly used by the wealthy classes since many families could not afford them or did not have the wall plugs to power electrical equipment. It was not until the 1950s that their use became more widespread. We hear the bell of a microwave, as cooking mode is set, as well as the bell announcing the end of the cooking time. 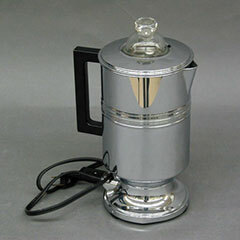 We hear the sounds of a coffee machine (coffeepot), from the grinding of the coffee to the coffee being poured.